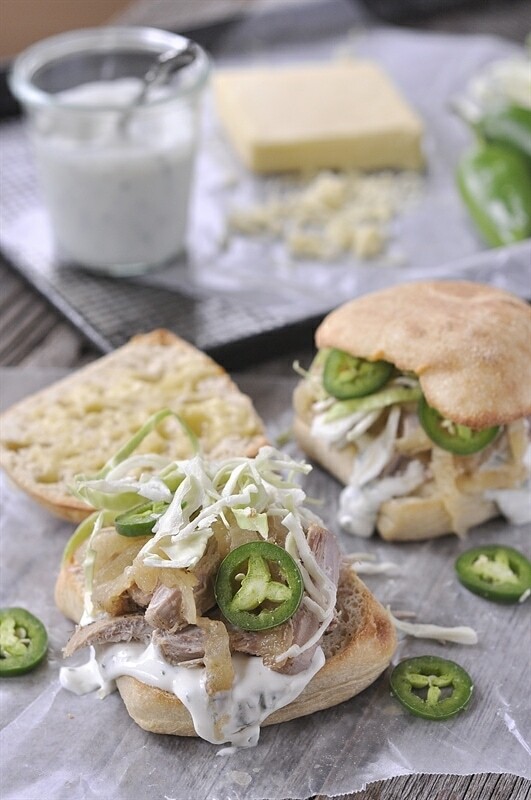 These Slow Cooker Cuban Tortas are delicious and full of amazing flavor! Combine lime juice, 1/4 C water, orange juice, garlic, oregano, salt, cumin, black pepper and bay leaves in a small bowl. Trim the fat form the meat if necessary. Pierce the meat with a large fork in several places. Place in a large resealable plastic bag set in a deep bowl. Close the bag and chill in the refrigerator for 6-24 hours, turning occasionally. Arrange the onion slices in the 3 1/2 to 5 qt. slow cooker. 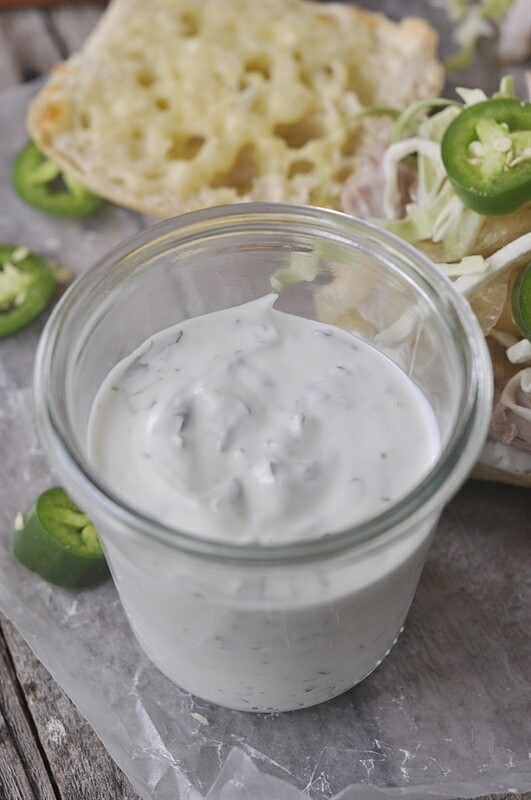 Stir together sour cream, mayo, cilantro, lime peel and lime juice in small bowl. Cover tightly and refrigerate until serving time. 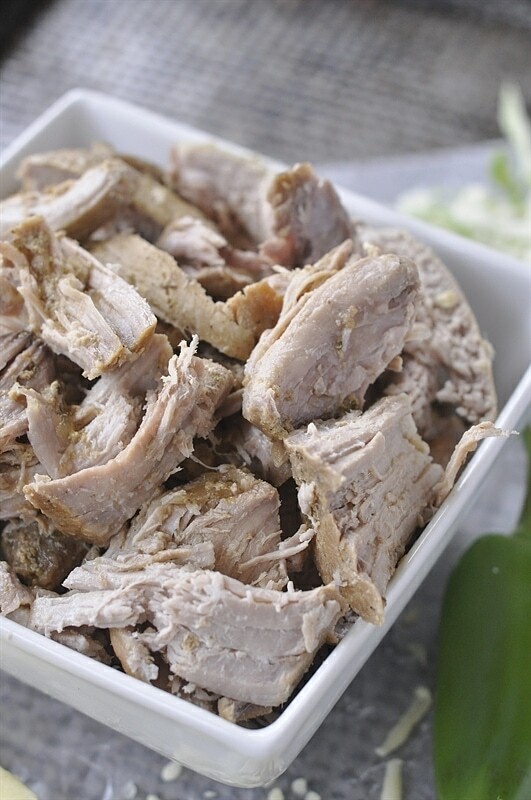 Transfer the cooked meat to a large bowl or dish and allow to cool slightly. Skim any fat from the juices in the cooker. Remove and discard bay leaves. Use two forks to shred the meat. 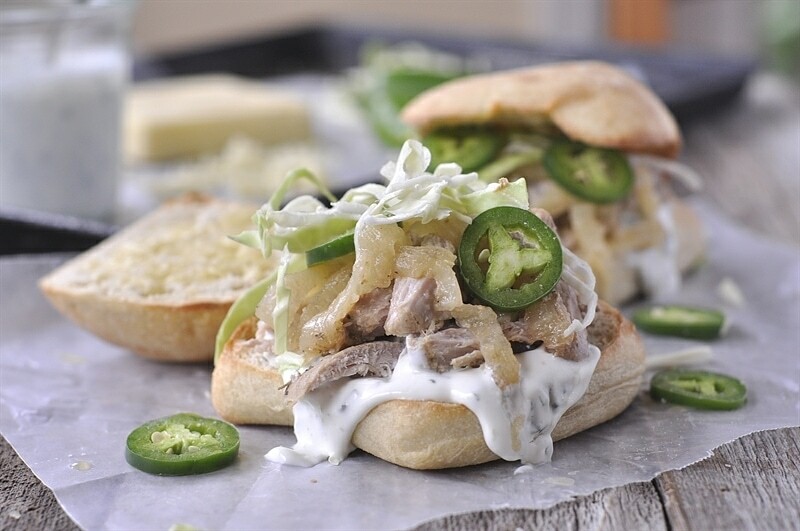 Remove onion from the slow cooker with a slotted spoon and add it to the meat in the bowl. Pour some of the warm juices over the meat and onion; cover and keep warm. Preheat oven to 350 degrees F. Slice each roll in half and place the cut side up on two large baking sheets. 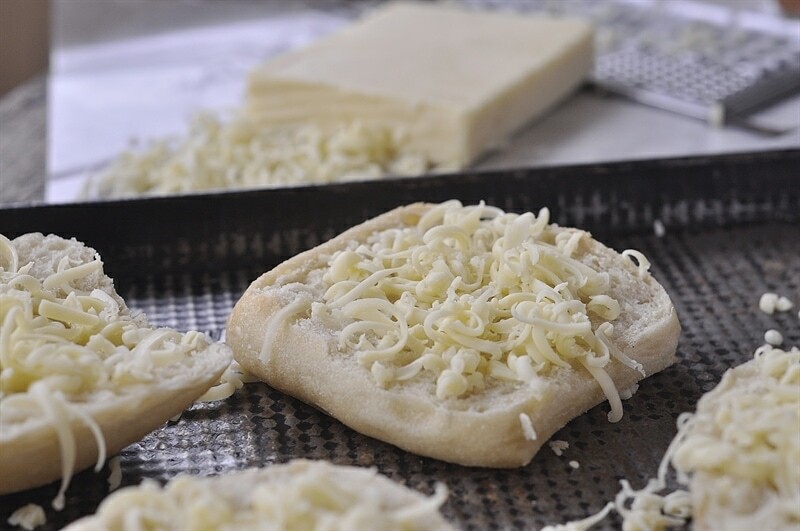 Divide the cheese among the roll halves. 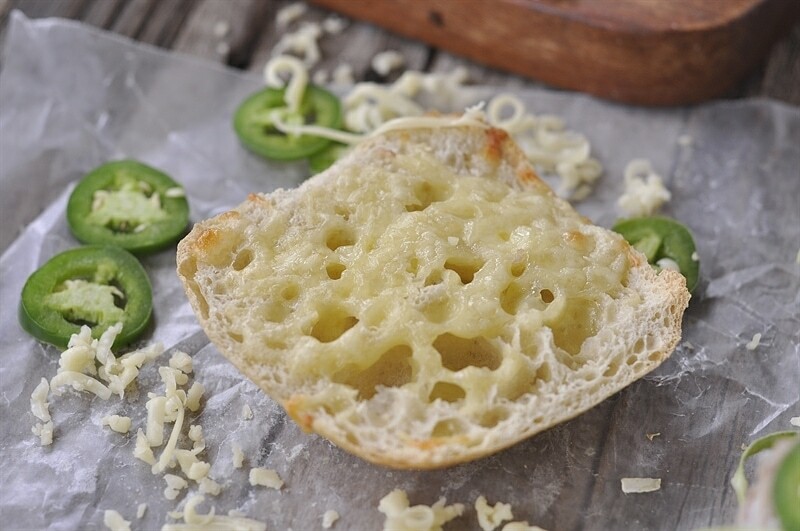 Bake until the cheese h as melted and the bread is lightly toasted, 3-5 minutes. 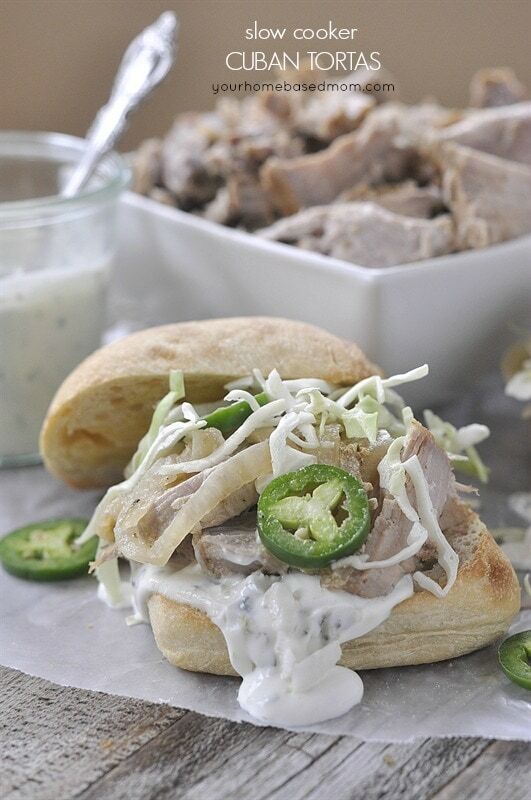 Top the roll bottoms with the pork and onion, cabbage, jalapenos and cilantro cream sauce. Top with the roll top. This recipe is used with permission from The Dairy Good Cookbook, Andrews McMeel Publishing, LLC. 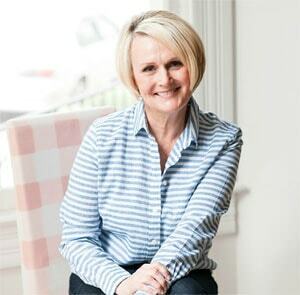 Through The Dairy Good Cookbook, dairy farmers share their secret (and not so secret) stories, traditions, and family recipes that have been passed down through generations. 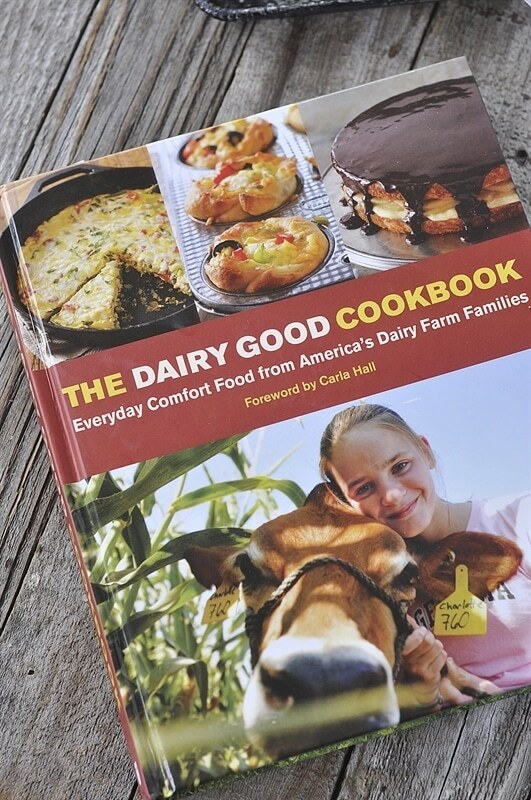 Enter to Win: For a chance to win a copy of The Dairy Good Cookbook and a $75 gift card, share a recipe or dish that celebrates your love of dairy (meaning that the recipe or dish must include cow’s milk, cheese and/or yogurt) as well as a story of how that recipe or dish has been passed down through the generations in your family, or is tied to a special tradition or occasion meaningful to you. Entry Instructions: You may receive (1) total entry by selecting from the following entry methods: 1. Leave a comment in response to the sweepstakes prompt on this post 2. Tweet (public message) about this promotion; including exactly the following unique term in your tweet message: “#SweepstakesEntry”; and leave the URL to that tweet in a comment on this post 3. Blog about this promotion, including a disclosure that you are receiving a sweepstakes entry in exchange for writing the blog post, and leave the URL to that post in a comment on this post 4. For those with no Twitter or blog, read the official rules to learn about an alternate form of entry. This giveaway is open to US Residents age 18 or older (or nineteen (19) years of age or older in Alabama and Nebraska). Winners will be selected via random draw, and will be notified by e-mail. The notification email will come directly from BlogHer via the [email protected] email address. You will have 2 business days to respond; otherwise a new winner will be selected. The Official Rules are available here. 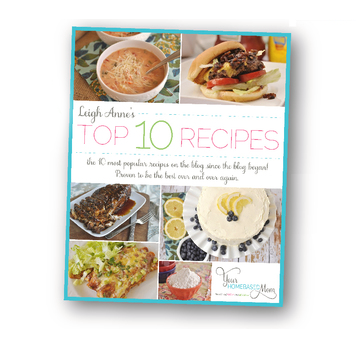 This sweepstakes runs from 6/2/2015 – 6/30/2015 Be sure to visit The Dairy Good Cookbook’s brand page on BlogHer.com where you can read other bloggers’ posts! 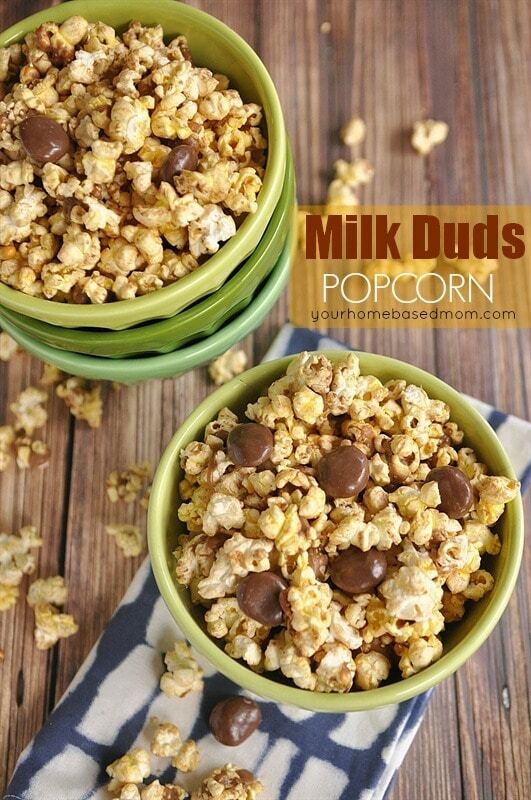 Be sure and follow me on Pinterest for more yummy recipes. 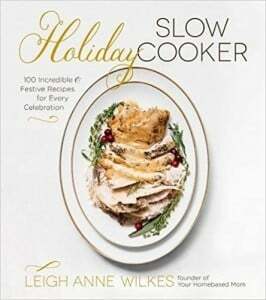 Follow Leigh Anne, YourHomebasedMom’s board YHM – Crock Pot on Pinterest. 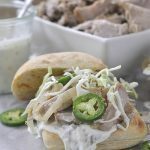 That cilantro sauce sounds absolutely yummy and I love anything made in a crockpot! My dad is Swedish (I am adopted from Korea) and his mom always made him “Swedish pancakes” which are flour, milk, eggs, baking powder, and a little salt. I am not sure of their exact European origin, but they are different than typical American fluffy pancakes. They are slightly thicker than a crepe and he used to make them for me growing up every Sunday morning. I would enjoy them with a little butter and syrup then place a sausage link on top and roll it up 🙂 Now I make them for my husband and son and I still love them. So simple, but delicious and reminds me of my childhood! My favorite diary recipe to make is lasagna. I got the recipe from a neighbor years ago & it never fails to please! One of our favorite dairy recipes is cheesy stuffed shells. This cilantro sauce looks delicious! My family loves my Grandmother’s lasagna! 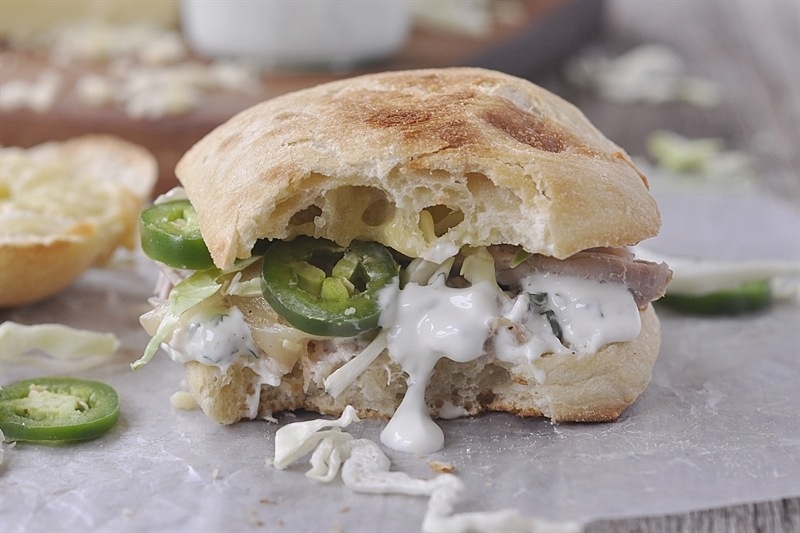 So much yummy ricotta and mozzarella cheese, it is the perfect Sunday meal! I love making lasagna. It was one of the first recipes my mother-in-law gave me after I got married and it has become my family’s favorite meal. The ladies in my family make the best mac and cheese around. They bake it and it gets this beautiful crust on top. That is a meal that brings back wonderful memories of family meals in my childhood. I would love to make this but I can’t find the measurements needed for the different steps…am I overlooking something? Sounds yummy! Patti, Somehow they disappeared but now they are back! I grew up in Wisconsin too:) Cheese is one of my families favorite food staples! I have so many recipes to choose from but one of my favorites is my grandmother’s pierogi. Pierogi are polish dumplings. Whenever we would visit her, she would make these. They can have different fillings, but my favorite was cheese and potato. I would help her make them and loved going down the road to the neighbor’s farm for fresh farmer cheese still in the cheese cloth. (There’s nothing like fresh cheese!) She taught me how to make sure all the whey was out of the cheese, and then we would blend it with the potatoes, fresh herbs, and seasoning to make the pierogi filling. Such a simple recipe but a wonderful one! I like to add dairy to a pasta sauce. 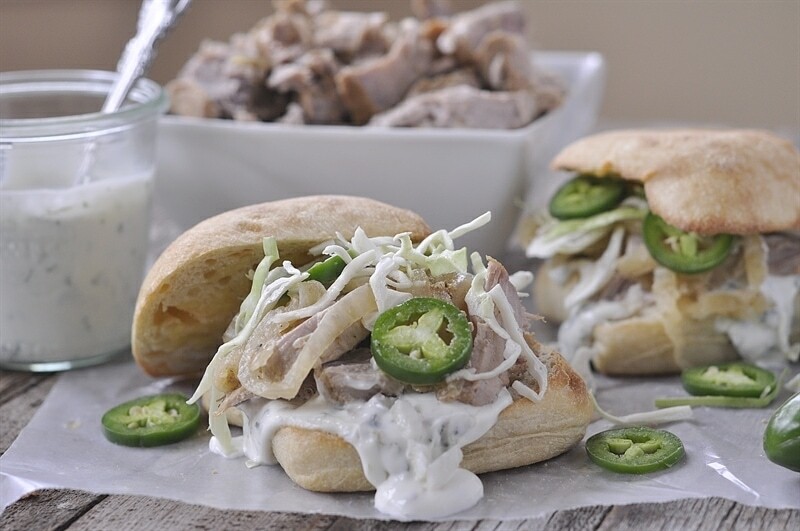 I really like your Slow Cooker Cuban Tortas recipe! Looks so delicious. My Mom made the best Hush Puppies when I was growing up. She got the recipe from her Mom, and I also made them when I was growing up, and now make them with my daughter! We use buttermilk in my Hush Puppies, and they are so delicious! My favorite family recipe is potato & cheese pierogies. Brings back so many awesome holiday memories with my family in the kitchen. Macaroni and cheese is a dish passed down for generations. It represents comfort and home to me. Thanks for the chance to enter. This is a perfect recipe for me. I am always looking for slow cooker meals to fix at the lake. It’s so much easier to have something waiting for you to eat after a day on the lake than trying to pull something together when you are tired. Love dairy products! Once it’s summer I like to make homemade ice cream. My other favorite is blue cheese burgers on the BBQ. We always have sweet potato gratin for holiday get-together. It is a family tradition dish that has been passed down through the generations. My Aunt make this decadent custard tart every year at our Christmas family gathering. The silky custard is made with whole milks, eggs, sugar; all baked in a buttery crust. I now make it for my kids from time to time at home. It’s probably my favorite dessert to enjoy. We have a cream cheese pound cake recipe that has become a family standard and favorite. My dad was first to make it and I also make it on occasion. In addition to loads of cream cheese, this super rich cake has a whopping 6 eggs in it and 2 full sticks of butter! As kids, my siblings and I loved this cake and now our chilren have grown to love it as well to the point that they fight over who’s going to get the last piece. We have so many awesome ethic family food traditions that have been passed down..Some are over 100 year old recipes. From good ole southern cooking to Irish and Hungarian. It is a bit of a challenge to pick one. 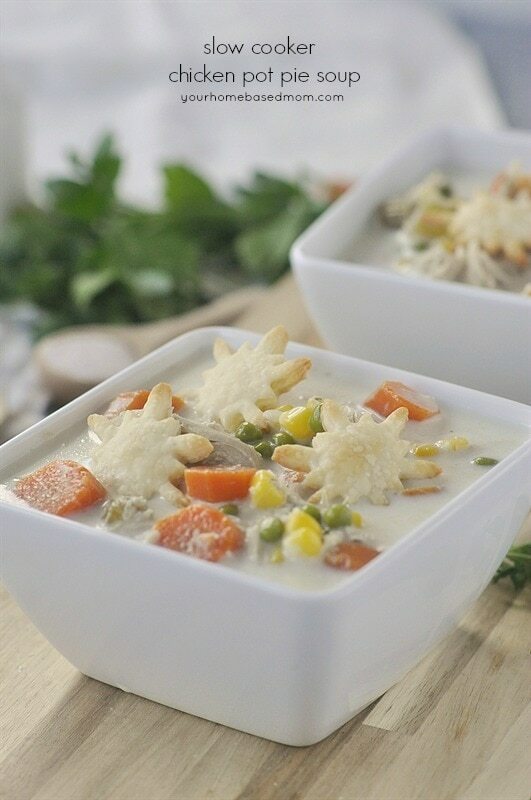 But, the one recipe that is always asked for at every get together even if it is hot is my great, great, grandmother’s Georgia Chicken and Dumplings..the chicken is so moist, the rolled and cut dumplings so tender and the gravy is thick and rich. The secret is a good chicken (whole) fresh farm killed.the farm..most chicken today in the markets don’t even taste like chicken. My favorite family “dairy” recipe would be my great-grandmother’s Santa Fe style enchiladas, which are absolutely smothered in cheese. So good! 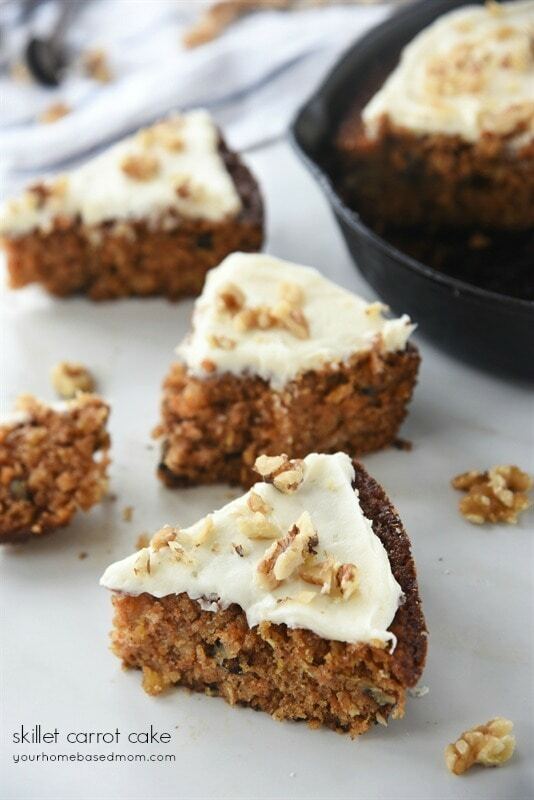 I love to make my sister-in -law’s baked oatmeal! It’s full of oats, bananas and milk. Love discovering new recipes for breakfast! My family all loves cherry cheese pie….we have it on many holidays. I love to make homemade ice-cream for my family. our favorite meal is tacos. One of my favorite desserts that my mom made was coconut cream pie. I continue to make it from her recipe. We have a meal called white sauce meal made with Aunt Penny’s White Sauce, noodles, dried corned beef, and corn. It’s something that always reminds me of family. It has to be my mother-in-laws and my moms homemade macaroni and cheese. So good! I have my grandmother’s cheesecake recipe that I use for all special occasions. OMG cheese! I love it so much! It is the ONLY reason I am not a vegan! LOL That said, my fav meal to make with it is hands down my lasagna. I use four different kind of cheese (swiss, cottage, motz, and parm) and make homemade tomato sauce to go with it. I also use LOTS of butter on my garlic bread. MMM! It always reminds me of my mom. It is the closest thing to her recipe that I have been able to recreate. My favorite dish that celebrates my love for dairy is my homemade chicken pot pie using milk and cheese. My grandfather made it all the time and even though I add some herbs and vegetables he did not use it still tastes so good and reminds me of him. 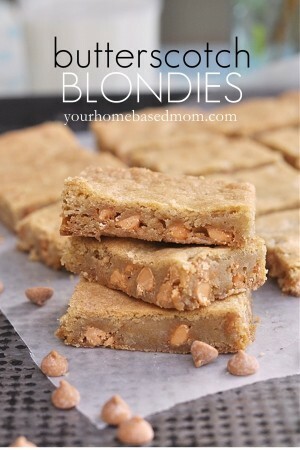 Tiffany, The recipe got messed up somehow but I’ve got it fixed – enjoy!